In a country long synonymous with vodka, the creation of a modern (and largely organic) premium wine industry is a revelation. Russia and vodka, yes. But Russia and fine wine? Until recently, the country would never have troubled wine aficionados, due to the poor quality wines produced in Soviet times. But now, happily, that is all changing. Until the past few years, visitors to Russia offered wine could either expect an imported bottle or Soviet-style sweet and semi-sweet wines of dubious quality. Four-fifths of wines sold in Russia are still poor quality semi-sweet varieties, and use concentrate. But a growing number of Russian wines are home-grown and of excellent quality, produced with French and other imported grapes, along with modern wine technologies. Enter the competition and you could win a case of delicious Abrau-Durso, the last word in Russian 'champagne'. Enjoyed over the years by tsars and Stalin alike, visit rbth.ru/wine-prize-draw for the chance to sample this exquisite sparkling wine, brought to you courtesy of Berkmann Wine Cellars. While most Russian regions are unsuitable for wine cultivation, the warmer climes of the Krasnodar and Rostov regions, near the Black Sea, now produce wines that can hold their head up alongside good European wines. 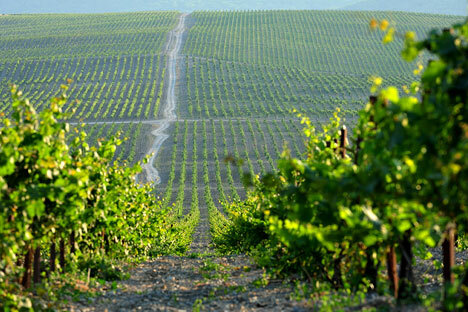 Wine cultivation to the south of Russia, in the Caucasus region, predates even Ancient Greece. Russia’s wine industry started seriously in the late 19th century, when Tsar Alexander II and wine-loving nobles imported French winemaking techniques. But this tradition suffered a setback in Soviet times, when Russians’ taste for semi-sweet and sparkling wines was largely formed. Many Russians today dislike dry wines, considering them too sour. It was Soviet dictator Josef Stalin, an ethnic Georgian, who did most to foster this tradition. By the middle of the 20th century, the Soviet Union ranked fifth in the world in the area under vines and seventh in wine output. The Soviet wine-making industry found enthusiastic support from Stalin and from Anastas Mikoyan, his minister for food production. Both Georgia and Armenia, in the fertile, Mediterranean-like climate of the South Caucasus, have a rich tradition of winemaking that predates even the ancient wine culture of Greece. Wine was drunk in Russia only by the aristocracy before the 1917 Revolution. But all this changed under Stalin, who believed that wine had to be affordable for every Soviet citizen. Scientists who were recruited to resolve the problem managed to produce frost-resistant, high-yielding varieties of grape. But the quality suffered: wines made from such grapes were barely palatable because of their high acidity and lack of taste. To remedy this flaw, grape sugar and often ethyl alcohol were added to the wines - practices that are still widely used in the Russian wine industry to this day. “Plants in Iran or Italy use bad grapes or juice-making waste to produce a concentrate that is essentially poorly refined grape sugar,” says Yelena Denisova, who chairs the board of directors at Chateau le Grand Vostock, one of a dozen good-quality Russian wine producers. In Soviet times, workers toasted Stalin with wine that would horrify a native of Bordeaux. In the 1980s, under Soviet leader Mikhail Gorbachev, most vineyards were closed or converted to other uses. But since the early 2000s, good quality wineries have emerged, such as the Abrau-Durso winery near the Black Sea port of Novorossiisk, and Chateau le Grand Vostock. In 2012, a Russian Wine Guide was published for the first time, describing 55 wines from 13 Russian wineries, including other Krasnodar region wineries such as Fangoria, Lefkadia and Chateau du Talus. Russia’s leading sommeliers who took part in writing the guide expressed the hope that the emergence of “great Russian wines” was not too far off.